Add all ingredients, with ice, to a Mixing Glass. 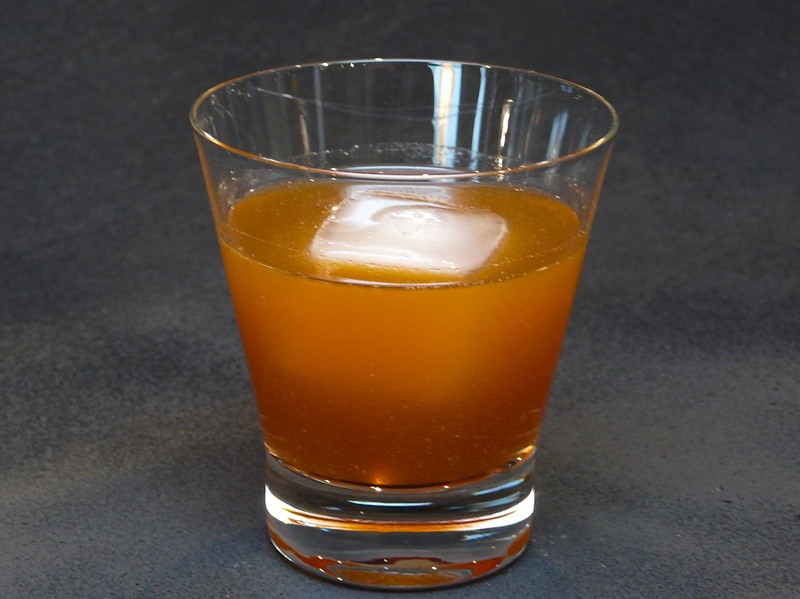 Stir to chill and strain into an Old Fashioned Glass over a fresh ice cube. 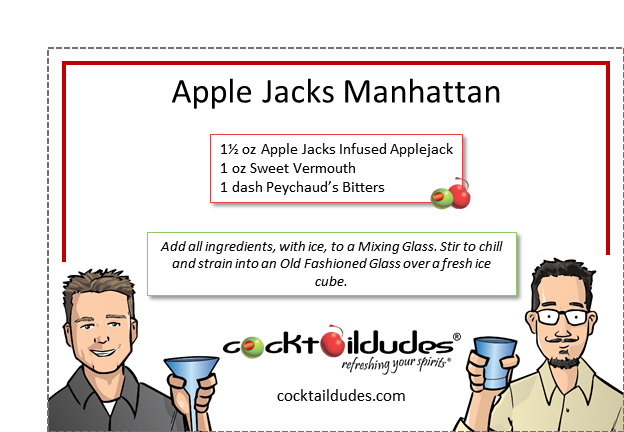 The Apple Jacks Manhattan is yet another one of our crazy takes on the classic Manhattan. The Apple Jacks Infused Applejack allows for a fun cocktail with an intriguing, yet subtle sweetness, which overlies it’s boozy complexity. The nice cinnamon flavor helps bring out the sweet notes from the vermouth and liveliness of the bitters.